Movie review published in celebration of National Space Day on May 4. Similar to the way director Steven Spielberg advertised “Jurassic Park (1993)”, “Arrival” builds to the ultimate reveal of the films main plot point – the landing of an alien life form. This creates an air of anticipation in the first act, without taking away from the overall development of Louise Banks (Amy Adams), the film’s main character. After the reveal of the craft, viewers assume is carrying alien life, the film becomes Adams’ movie. Her character Louise Banks is incredibly charismatic and likable. She’s the kind of character that you almost already know in real life. Working off of actor Jeremy Renner, who plays Ian Donnelly, the viewer begins to see how realistic and wholesome Banks is. The main conflict of the movie comes from Banks and Renner’s struggle to communicate with the foreign life forms. As they learn to communicate, the movie hints that perhaps “Arrival” may be offering viewers more than just a story about man’s first contact with alien life forms. Instead, it questions the way we understand time and the future. This movie is entirely about free will. Villeneuve treats the film as if it were alive. “Arrival” is not only self aware, but intelligent. The pacing is slow and deliberate. It knows exactly when to speed up the action and when to allow the viewer to move and learn with the characters. “Arrival” uses the “show don’t tell” technique that is often forgotten in science fiction. Visual storytelling is often lost in the wave of new technology and computer generated imagery that have become staples of the genre. 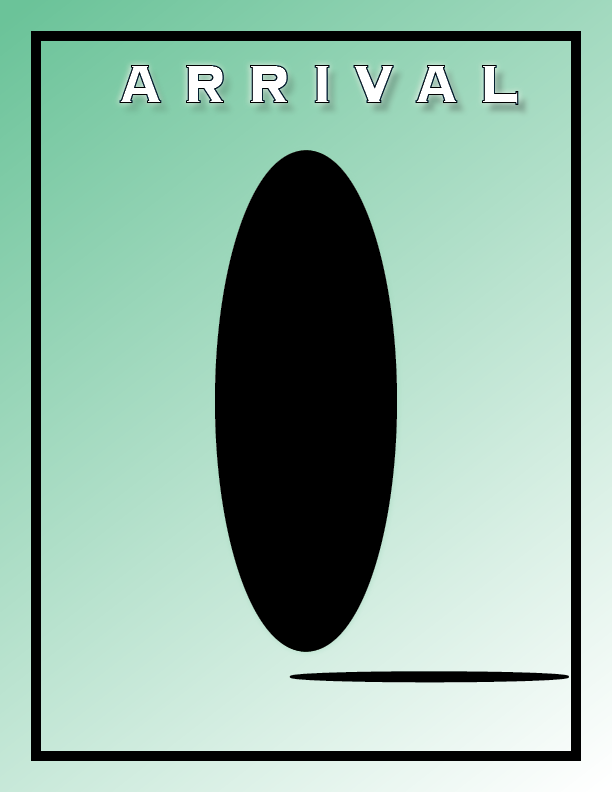 However, “Arrival” is very minimalistic in this aspect, allowing the characters to tell the story. The film is by no means perfect. It’s still susceptible to the classic clichés of the genre. One cliche that really sticks out is a military that would rather destroy everything than try to understand. While such acts of violent ignorance could be seen as distracting in this otherwise intellectually challenging movie, the clichés add another level of mystique to the movie. Whenever the clichés are on screen, the main characters (and the camera) are in the real world. Once Banks and Renner enter the spaceship, the clichés fade from your mind as you enter a completely different world. While “Arrival” is slower and darker than some of its intergalactic counterparts, it leaves the viewer with far more after the credits roll. This movie is perfect for anyone looking for something more thought-provoking than explosion after explosion. “Arrival” brings us back to the classic sci-fi question: who’s the real antagonist; us or them?